The ultimate golf vacation is staying and playing at a golf resort. Below is an interview with Stephanie Baker who shares some valuable information about staying and golfing at Omni Barton Creek Resort & Spa. 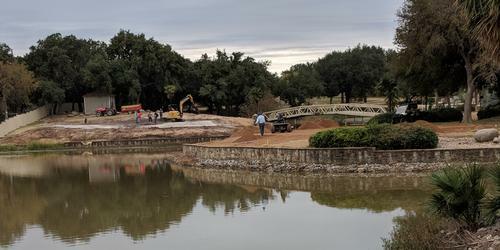 In May 2019, Omni Barton Creek Resort & Spa relaunches as a luxurious, relaxed retreat embodying the spirit and beauty of its home set in Austin's Hill Country. Located in one of the nation's top ranked cities, Austin, Texas, just 20 minutes from downtown, Omni Barton Creek Resort & Spa boasts of 76,192 sq. ft. of meetings space, 493 newly designed guest rooms, seven unique dining concepts, four championship golf courses, and a 13,000 sq. ft. Mokara world-class spa. Designed with floor-to-ceiling windows bringing the outdoors in, all décor and furnishings connect with the land featuring local foliage, watering holes and wildlife, paying homage to the area's history and natural Hill Country beauty. Omni Barton Creek Resort & Spa offers 76,192 sq. ft. of total meeting space with 52,000 sq. ft. indoors featuring 16 meeting rooms and two ballrooms for up to 1,500 guests. The 5,550 sq.ft. Pavilion, with fully retractable windows and panoramic views, provides flexibility to accommodate any possible event. Blurring the line between outdoors and indoors, meeting spaces offer inspiring views of the Texas Hill Country, elevating the guest experience. Omni Barton Creek Resort & Spa offers seven unique restaurant concepts serving a wide range of cuisine and dining environments. For casual dining, Texas Spice, Velvet Joe's Coffee House & Artisan Wares and Nopales offer a variety of menus. Legendary Bob's Steak & Chop provides fine-dining featuring incredible meats, gigantic shrimp, fabulous salads and decadent desserts, while Blind Salamander features "garden-to-table" cuisine with seasonal dishes. Guests can also indulge in hand-crafted cocktails and hearty menus at Jim Bob's Lobby Lounge and Crenshaw's Bar & Eatery, or sit back and relax with in-room or poolside dining. 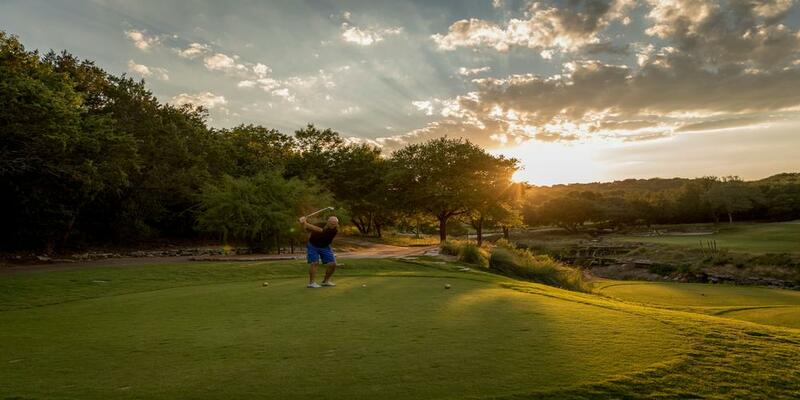 While Omni Barton Creek Resort & Spa is known for its four legendary golf courses, spa, outdoor activities and culinary are highlights of the resort. Featuring an adults-only private outdoor pool, the Mokara spa provides a full-service hair and nail salon as well as massages and body treatments in 17 individual treatment rooms and three couple's rooms. Set in Austin's Hill Country with breathtaking views, guests can enjoy nature's beauty with hiking trails, a miniature golf course and a robust schedule of outdoor classes, workshops and activities. And for the foodie, Omni Barton Creek boasts seven unique dining concepts serving everything from "garden to table" cuisine and Pan-Latin dishes to hearty locally-sourced meats and handcrafted cocktails. * Morning: A Group Ride with friends and fellow Omni resort goers at scheduled cycling tour along the rolling hills of Austin's Hill Country. * Brunch: Grab and go breakfast with expertly-prepared coffee or espresso at Omni Barton Creek's Velvet Joe's Coffee House, along with high-protein snacks to take on the road. * Afternoon: An active outing to the historic Hamilton Pool Preserve (23 miles away) with a nature hike and a refreshing dip in the natural pool with views of the 50 ft. waterfall. * Lunch: A spicy afternoon lunch at Omni Barton Creek's Nopales restaurant for Pan-Latin cuisine. * Evening: Take in a live taping of ACL Live (10 miles away), one of Austin's legendary music shows, at the Moody Theater. * Brunch: A hearty buffet breakfast at Omni Barton Creek's Texas Spice, with local favorites like steak and eggs or biscuits and gravy. * Daytime: An action-packed day at the international attraction, Circuit of the Americas Racetrack (21 miles away). * Lunch: When visiting Texas, you must enjoy the local BBQ. Drive out to The Salt Lick BBQ (12 miles away) and indulge in the Lone Star State's "holy trinity" of ribs, brisket and sausage. * Dinner & Drinks: Before a night on the town, head to Omni Barton Creek's Jim Bob's Lobby Lounge for top-shelf spirits, hand-crafted cocktails and small plates. * Late Night: Finish the weekend off with bar hopping on Austin's famous Sixth Street (17 miles away) packed with cocktail bars, beer gardens, dance clubs and live music venues. * Breakfast: A light breakfast at one of three Omni Barton Creek pools with an early morning swim. * Daytime: Sightseeing at Mt. Bonnell (12 miles away) featuring breathtaking views of the city and Hill Country followed by a visit to Zilker Botanical Garden (7.5 miles away) and Zilker Park (8 miles away). * Lunch: Picnic in the park with sandwiches, chips, dips, snacks and beverages purchased that morning from the resort at Omni Barton Creek's Velvet Joe's Coffee House. - Shopping at South Congress Avenue (11 miles away) for boutique clothing, gifts and furnishings finished with ice cream at Austin's locally famous Amy's Ice Cream. 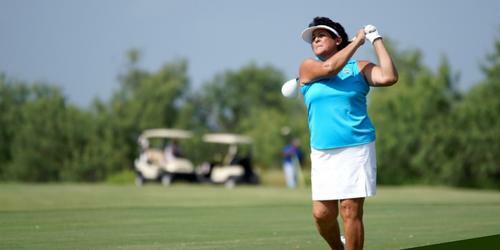 - A round of golf at one of the four championship courses at Omni Barton Creek. * Early evening: Watch the sunset and the family Austin bats ascend from the Congress Avenue bridge (9 miles away). * Dinner: End the evening back at the Omni Barton Creek for in-room dining or dive into comfort food and delicious cocktails in a relaxed bar setting at Crenshaw's Bar & Eatery. * Breakfast: After a busy first day, relax and order breakfast in with in-room dining. * Daytime: Discover local foliage and wildlife with a visit to the legendary Lady Bird Johnson Wildflower Center (13 miles away). * Lunch: Return to the Omni Barton Creek for 'garden to table' cuisine at its signature restaurant Blind Salamander. * Dinner: Finish a romantic weekend with a first-class dining experience at Bob's Steak & Chop House, with a robust wine collection and aged meats, conveniently located onsite at Omni Barton Creek. Tournament inquiries for groups with more than 12 people, please call Bentley Nakasawa at (512) 329-4045 or email bentley.nakasawa@omnihotels.com. 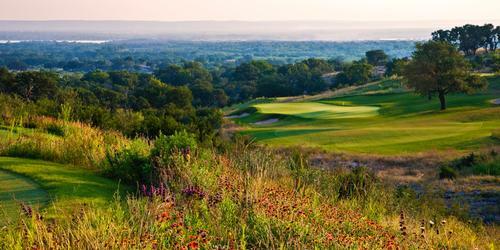 For all other golf changes or booking inquiries, please call (512) 329-4653.